The study, carried out by researchers from Universidad Carlos III de Madrid (UC3M) in collaboration with the Swiss Federal Institute of Technology in Zurich, the IMDEA Networks Institute and NEC Laboratories, has just been published in the journal PLOS ONE. The analysis focuses on the "trending topics" of Twitter because they share some of the same characteristics as news, dealing with subjects that attract the attention of a large number of people. "They are events that a large number of users are interested in and, in this regard, we can say that they are news items selected democratically by Twitter users in a country," the researchers noted. To carry out the study, all the "trending topics" on Twitter were compiled from 35 countries over three months in 2013, and from over 62 countries (the maximum number that the functionality of Twitter allowed) over the same period in 2014. In total, more than 300,000 "trending topics" generated in different countries and at different times were obtained, which makes it possible to study the dissemination of this content among different countries and cultures. "The conclusion we have reached is that the geographic dissemination of news on social networks preserves some of the biases present in the dissemination of traditional news, like the fact that it tends to flow more from rich countries to poor countries," said Rubén Cuevas, a researcher from the UC3M Department of Telematic Engineering. In addition to this socioeconomic conditioning, the study reveals that there is another important bias among countries that speak the same language: a cultural one. "To summarize," he said, "economic power conditions the dissemination of news on social networks among countries with different languages, while in the case of countries that share the same language, the fundamental conditioning factor is cultural similarity." A new methodology was employed for the second part of the study. Using the Google News service, it detects which "trending topics" appear in traditional media sources. In this case, the analysis focused on four countries (Canada, Spain, the United States and the United Kingdom) representative of the number of users of and activity on Twitter. "Approximately half of the events included in "trending topics" are also reported as news in the traditional media, while the other half are subjects that, despite attracting the attention of a large number of Twitter users, do not appear in the media," said the researchers, who used the on-line version of each country's main newspaper as a reference. In the case of Spain, 55% of the "trending topics" are about events that are reported in the traditional media. 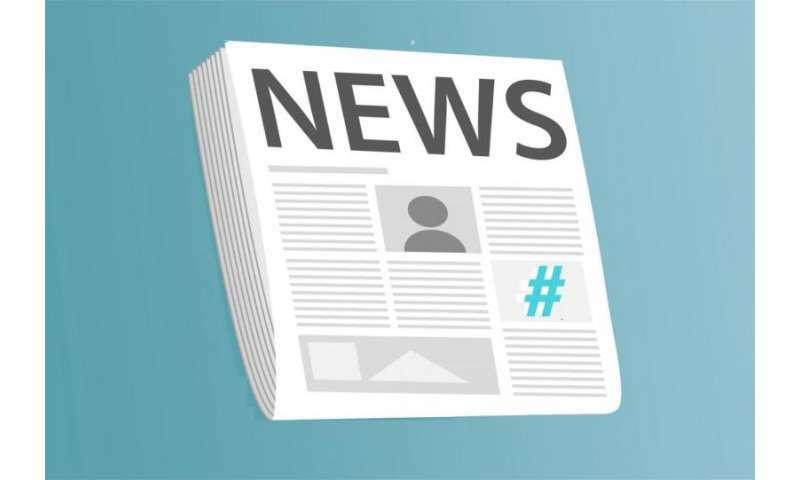 The study also analyzes who reports the news first, comparing the publication date of the "trending topics" on Twitter with the related stories that run in the country's main dailies. "If we look at the news that is reported by both sources, more than 60% of it appears first on Twitter, while less than 10% appears first in the traditional media (the rest usually appears the same day)," the researchers remarked. That does not mean, they explained, that there is a "tweet" that contains news, but that the subject attracts the attention of a certain number of users to qualify for the category of "trending topic" on the social network. Of the four cases studied, Spain is the country where Twitter shows the lowest capacity to gather news ahead of the traditional media. Specifically, 60% of the news that becomes a "trending topic" appears first on Twitter, 10% appears first in the main on-line newspapers and the remaining 30% appears the same day on Twitter and in the traditional media. In the other three countries studied, at least 70% of the news appears first on Twitter.